Shortly after the war, two brothers, Edwin and Hermann Faller, started making plans for the future; they wanted to make wooden toys. 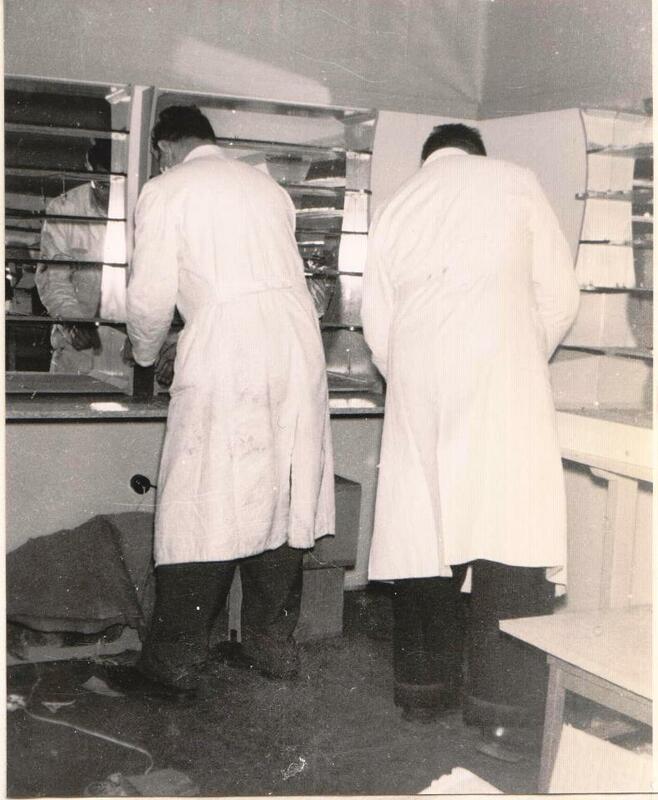 In 1946 in Stuttgart the brothers founded the ‘Hermann Faller company’. 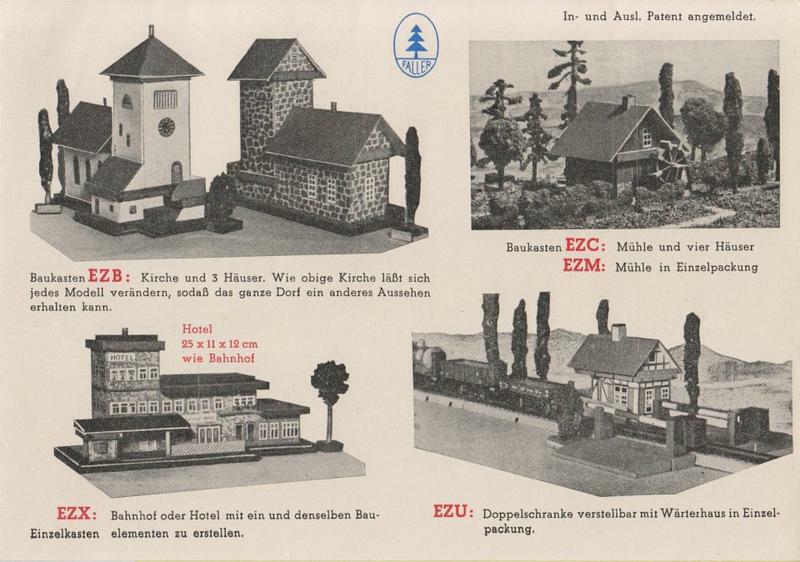 Soon after, the brothers relocated their company to their hometown, Gütenbach, in the Black Forest (‘Schwarzwald’). 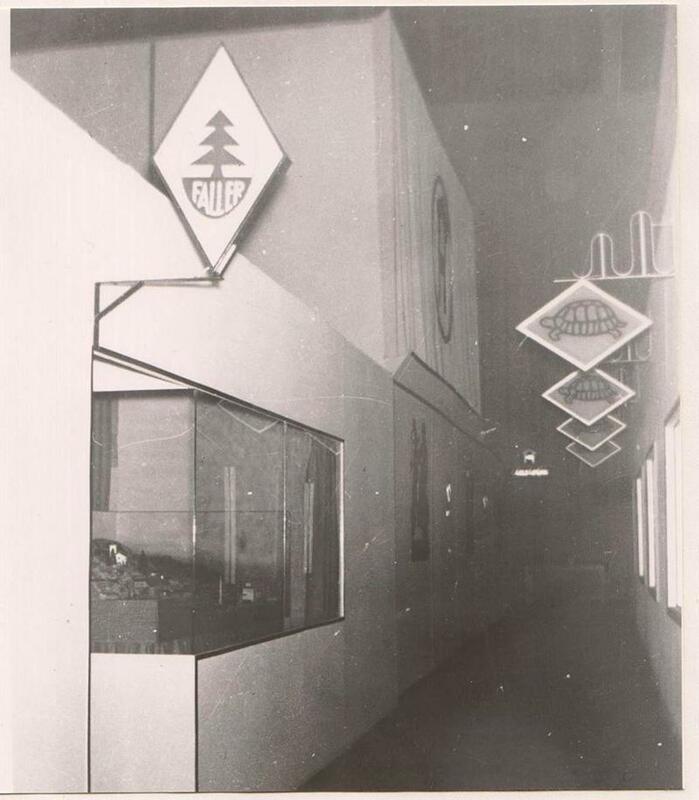 They renamed their company to ‘Faller Brothers’ (‘Gebrüder Faller’) and began making wooden construction kits and wooden bricks. With their ‘Marathon’ construction kit, children could tinker and create simple toy houses out of wooden panels and printed cardboard parts. It was an instant hit. Other early items included a wooden multicoloured mosaic game as well as a domino game. The first years of the Faller company were not easy. Due to the currency reform of 1948, people barely had any money in their pockets and didn’t think of buying model kits or domino games. In 1949 the brothers were forced to lay off all their personnel. 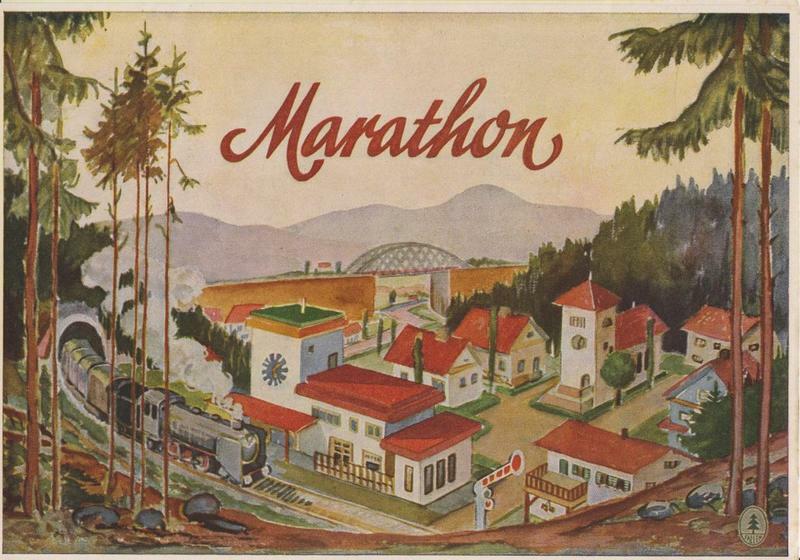 But the brothers didn’t give up and started making H0 model trains accessories again with the brand name ‘Marathon’. This time they were not kits, but complete models, like a signal box, stations and water and windmills. The brothers also started making model trees from green dyed sawdust that was applied on wires. Dealing with this sawdust gave the brothers the idea to produce different litter material for model train hobbyists. The sawdust material was delivered by a sawmill and divided with sieves in different sizes. For 20 cents per hour the sieving and coloring was taken over by local schoolboys, whose hands turned green and brown for many days after the job. This scattering material turned out to be a real hit. In order to increase the production the brothers built a vibrating machine, but still the capacity of the drying oven was not enough to meet the demand. So the production was extended to households in and around Gutenbach. Plates with high edges were used and scattered material was distributed for drying in the domestic kitchen stoves. The brothers started to improve their models. The walls of cardboard were given openings for doors and windows, which were now attached from behind and located opposite from the openings. The doors were made of thick cardboard and the windows were made out of colored paper. After gluing, the walls are coated with ‘Griessputz’, a technique where white wheat semolina is applied (pushed) on a layer of plaster composed of ‘water glass’ or a mix of white glue and poster paint. The roofs were made out of thin plywood and coated with red paint. By the Early 1950s, Faller was the first manufacturer with moving models, like a water mill with a rotating wheel and a windmill whose blades rotated. The special brush motor that was designed by Hermann Faller, fitted directly into the model and was elegantly hidden from view. The product ‘Hydrozell’, a powder of dry glue and cellulose, was one of Faller’s other early big hits. Mixed with water and paint, it allows hobbyists with aid of a spatula to create light-weight mountains and cliffs with a realistic appearance. In 1953 the Faller company asked Fritz Schmalz for assistance with Polystyrene plastic injection moulding technology. Fritz was an old friend of Hermann Faller and had previously worked as a mechanic at a plastics manufacturing company in Lahr. Due to his help in processing plastic, Faller started producing plastic parts for the cardboard models, like plastic doors, windows and chimneys. Soon Faller also succeeded in making models completely out of plastic parts. In 1954 the Kiosk No. 212 and the Windmill No. 227 were the first fully plastic models and many other plastic models would follow. 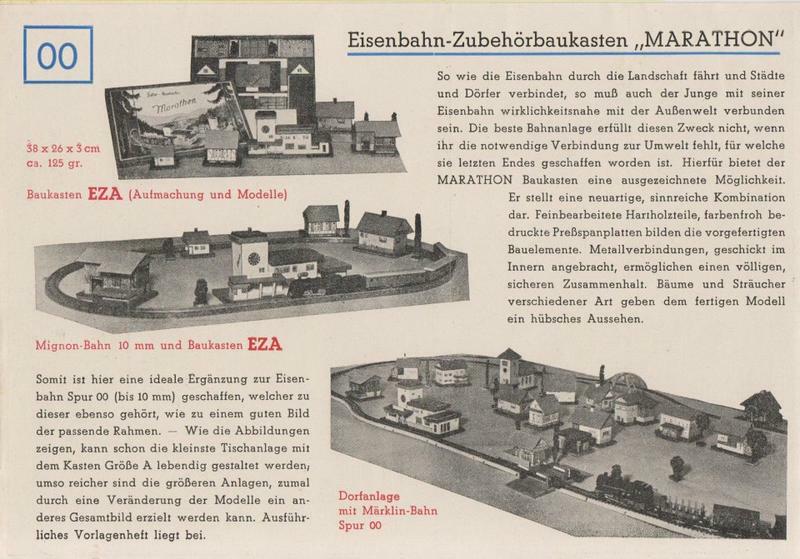 All these models were assembled in the living rooms of many home workers in and around Gutenbach. The high cost of wages for these home workers eventually influenced Faller’s decision to start selling kits, instead of the already assembled houses. The trick was that Faller led their customers to believe that it was more fun to construct the houses themselves. And the trick worked, since then model hobbyists around the world were devoted to the glue. In 1956 Faller introduced aeroplane models in 1:100 scale with a rotating propeller. The planes had the smallest electro motors in the world, invented by Hermann Faller and Fritz Schmalz. 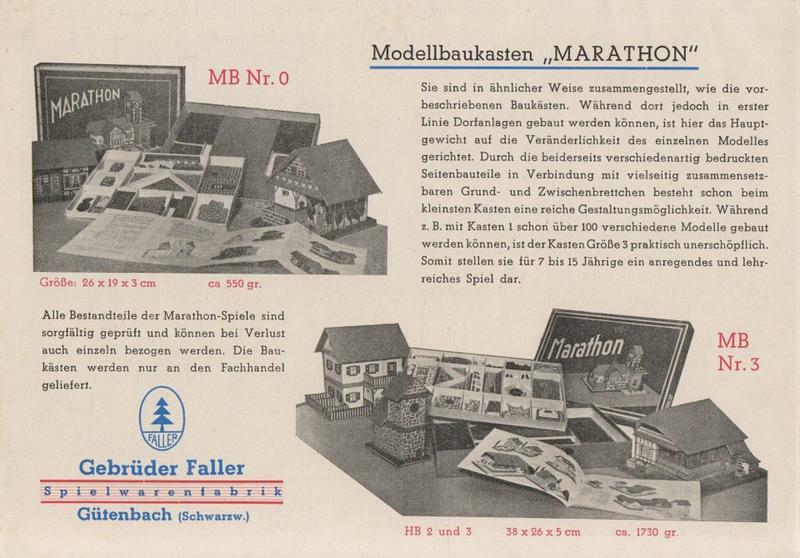 In October 1957 Faller start publishing their bimonthly bulletin ‘Faller Modellbau Magazin’, in December 1974, but after 97 magazines, the series stopped. In 1963 Faller launched their AMS (Auto-Motor-Sport) slot cars in 1:87 scale for use specifically with H0 model railroads and supported this release with lots of accessories, like railway crossings and traffic lights. In addition to the ever growing market of railway models and accessories, Faller started producing other toys, like the ‘HiT car’ in 1968, which was a push car for small children. And in 1970 Faller released their ‘HiT Train’, a colourful plastic battery powered toy train on very sturdy plastic 32mm tracks (0-Gauge). In 1972 a somewhat more serious looking black tank loco was produced and then followed by a Henschel diesel loco and a tender loco. In 1977, the ‘Play train’ was launched as the big brother of HiT train with the same rail size and technology as HiT train. The ‘Play train’ locos and cars were twice as big compared to ‘HiT train’. A clever move as the train now works perfectly with Playmobil figures. Based on ‘Play train”, Faller brings out ‘E-Train’ in 1980, controlled by a 12V DC transformer. The E-Train tracks are suitable for Play train too. And the many cars and accessories of Play train also serve the E-Train. This immediately ensures lots of accessories and playing fun. In 1983 Faller ‘Autoland’ is born, with battery powered cars and trucks. Autoland has the same size as Play and E-Train and fits perfectly into the Faller toy program. The toy market changed in the 1980s. Many products that were invented, developed and manufactured in Germany, were copied in the Far East in low wage countries. This also was the case for the Faller toy innovations. The goal of the expansion of the Faller toy range was to diversify the business risks, but the toy business had become particularly risky in the 1980s. It was clear to Faller that these fundamental changes in the toy market were irreversible. For the Faller company it was therefore economically wise to abandon the toy area and focus on its traditional model making. The Faller catalogue 1985 was therefore the last catalogue with a extensive range of toys. In 1985 Faller started producing Carnival amusement park models in both HO scale and N scale. In 1987 Faller launched ‘FCS’, the ‘Faller car system’ in H0, later in N scale too. Cars, trucks and buses run without visible guide rails and visible wiring on a battery powered Faulhaber motor. Later in 2013, Faller released the newest digital version: ‘Faller Digital Car System 3.0’. In 1997 Faller took over their competitor Pola. 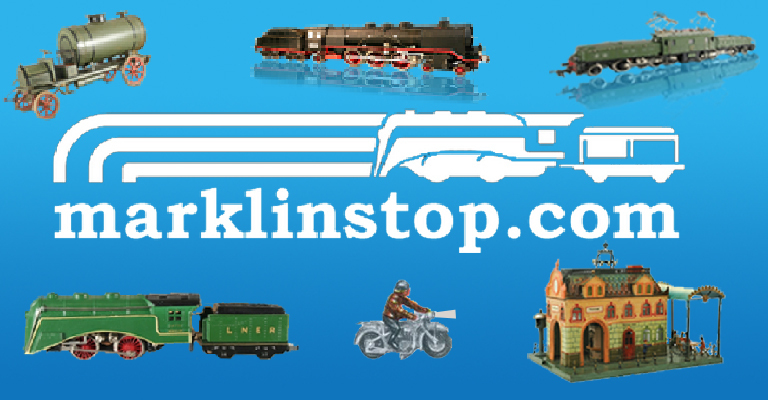 Since the takeover Pola is now solely devoted to G-scale products. Faller’s current product line includes railway structures, houses and commercial buildings, bridges, the Car system and all sorts of landscaping and layout construction accessories in H0, N, TT and Z scale, as well as the special theme worlds Zoo, Farm, Camping and Carnival & Fair. The brothers Hermann and Edwin have deceased but Faller is still a family business. Faller has currently around 90 employees and sells about 1.2 million model houses per year. 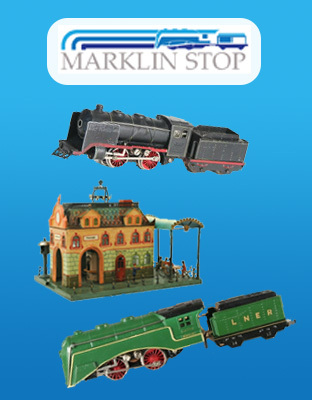 Faller’s models from the 1950’s and 1960’s are highly collectible today, as well as their early catalogs. 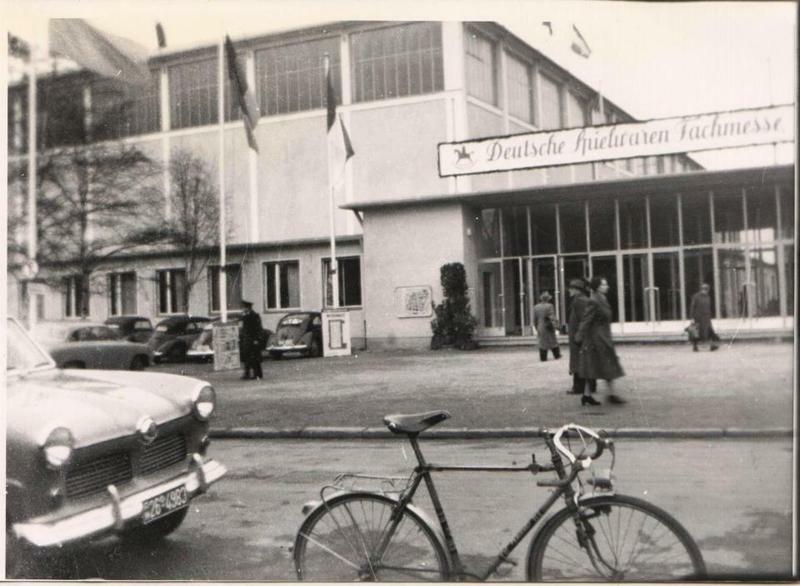 The new exhibition building of the 1953 Nurnberg toy fair. Edwin and Hermann Faller decorating the Faller stand at the 1953 Nurnberg toy fair. The Faller stand (No 1000) on the 1958 Nurnberg toy fair. 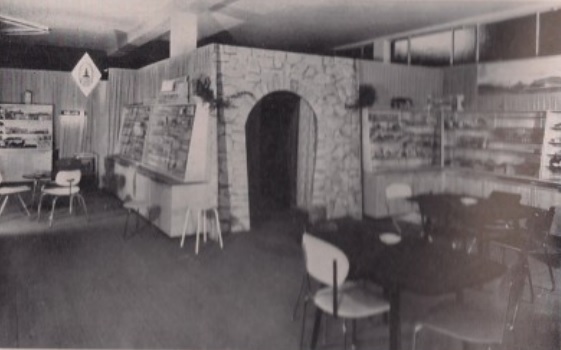 The Faller stand at the 1953 Nurnberg toy fair.